The Universal Undersheet is a one-size-fits-all beds Earthing Sleep System that’s designed and made in Australia. You can use it on a King, Queen, Double, or Single bed. It comes with a 2-year Warranty and a 1-year Satisfaction Guarantee. When placed length-ways (head-to-toe), it completely covers a single bed and covers two-thirds of a queen bed. 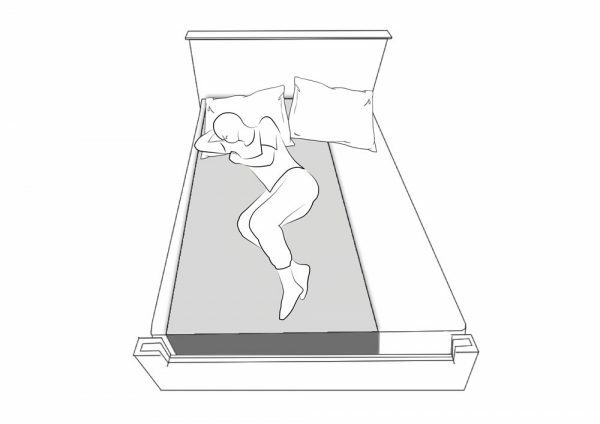 Or you can position it sideways (across the middle of a double, queen or king bed) and two people can experience the benefits of earthing overnight. The ideal position is under your torso so that your full body weight goes onto the undersheet. Tuck the 100% cotton ends under the mattress to secure it in place. Then put your favourite fitted sheet on top. 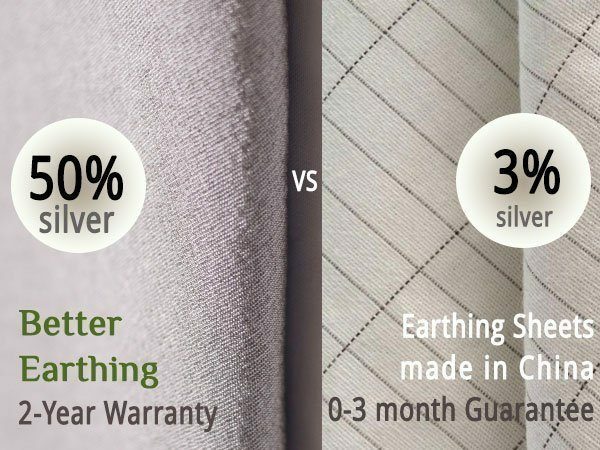 Better Earthing custom-made earthing fabric contains 15x more silver than a regular earthing half-sheet, which contains silver is 3% of its fabric compared to 50% is ours. For full details, read the product description below. It delivers big health benefits including improved sleep, reduced pain, and better circulation. See earthing benefits for more or read our 25+ customer reviews on this product. 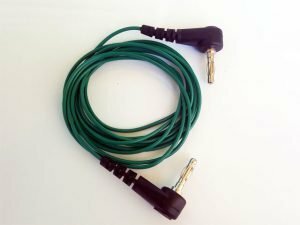 Universal Undersheet is sold as a complete system with a straight lead and AU/NZ earthing adapter for earthing indoors (if you would prefer a coiled lead let us know by leaving a note in the checkout). Our Universal Undersheet is made from premium Better Earthing fabric, woven from 99.9% pure silver coated fibre. Silver is naturally anti-bacterial and antimicrobial, and actually kills odour-causing bacteria (see more under the Antimicrobial tab). Better Earthing fabric is highly conductive and durable. It is made of silver coated fibre (50%) and Tencel (50%), with premium silver coated fibre from France. Tencel is a natural fibre manufactured from fast-growing, sustainably farmed Eucalypt trees via a trademarked process that minimises waste. This fabric is undyed and naturally silver in colour. Find out more about earthing fabric and how it is made. The earthing section of our silver/ Tencel universal undersheet is 1.9 m long by 1.00 m wide, with 75 cm dotted cotton ends (100% cotton) for tucking under the mattress. This holds the undersheet securely in place. Better Earthing Sleep Systems are designed as an undersheet or underlay. This is very practical as less washing is needed and you can still use your favourite sheets. You don’t need direct skin contact. The slightest of body moisture or humidity in your clothes and sheets creates conductive channels will very effectively pass earth from your Better Earthing Sleep system to you. You can watch Peter demonstrate this with a multimeter in the video below. The total length is 3.4 meters long x 1 m wide. The conductive earthing section is 1.9 m long x 1 m wide. This is sewn to 75cm long cotton ends that tuck under the mattress to hold the Universal sheet securely in place. Simply put your universal undersheet in the washing machine on gentle cycle. Ensure that you use a gentle detergent like Earth’s Choice blue laundry liquid that contains no bleach, no whitening agents and ideally no oils. Dry in shade. Better Earthing adapters can be used in conjunction with travel adapters for countries that have earthed three pin type powerpoints that are properly grounded. Ensure that your travel adapter (Australian to UK for example) has a metal earth pin. Note: 2 pin type powerpoints have no earth pin so cannot be used. Australasian mains outlets (Australia, New Zealand, Fiji, Papua New Guinea) and UK mains outlets are almost always properly grounded. In the USA, houses wired in the mid 1960s or earlier may not be properly earthed. 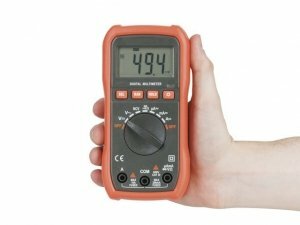 The best way to test whether your product is receiving earth is with a Multimeter. If you don’t have access to a properly earthed powerpoint, then you can use a good grounding rod placed outside in the soil and connected by our lead (with a resistor in it) to your Sleep System. Thank you for following up with us. I am sleeping much better and I fall asleep much faster. I placed the pillow under my 1year old toddler’s bed and he seems to sleep longer too. Thank you for giving us the gift of sleep which turns into health to us during the day. I am less stressed at work and I feel I am in a better mood. It is amazing. My shoulder ache has reduced after few weeks of sleeping on earthing bed underlay. I told my friends and family about in the group chat and they are intrigued. My friend have ordered with you recently and I will make another order for my mum soon. My friends want more info so I am passing around your book that you sent us. Keep up the awesome work you have beautifully created. Along with the earthing sheet I also purchased a pillowcase (which I have not yet used) and an earthing pad, which is heaps better than my old one. Using the micrometer, I discovered that the earthing mat reduces my body voltage by a factor of 10 – but sitting in front of my iMac my body voltage without the earthing mat is about 6 times higher! And with the mat, it goes right down again. I could feel the unpleasant field near my computer previously – a sort of physical irritability – but very useful to have it confirmed like this. Anyway, I’m going to make sure I keep myself earthed as much as I can, and I can feel a noticeable difference when I do (especially with the computer). 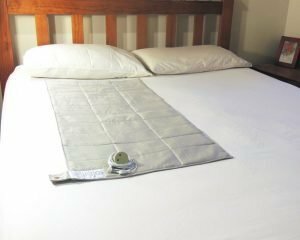 As an investment in my health, both earthing sheet and earthing mat have been very much worth the cost, and the products are obviously of better quality than my old earthing mat – plus the Aussie earthing adapter is a huge bonus too! I’ve been using the earthing underlay the past 2 weeks with surprising results. A little bit of background: I am a Ehlers Danlos Syndrome patient and suffers from a range of health issues including chronic joint and muscular pain and dysautonomia. For the past 3 years since my diagnosis, I rely on wearing compression leggings to get a decent night sleep; as otherwise, I’d get woken up, often 4-5 times throughout the night, presumably due to low blood pressure and poor circulation. This was no different on the night before I got to trial earthing. On the first night using the underlay, I managed to sleep through the night without the leggings. Thinking that, perhaps my body was making up for the poor sleep the night before, I didn’t expect to have uninterrupted sleep for a second night straight. But I did and have been for the last 13 nights. I am pleasantly surprised and also noticed that my usual body pain has reduced in severity. I am due for a blood test for an autoimmune thyroid marker which has been raising steadily over the past one year but I’ve asked to postpone the test for a month. I’m keen to see if earthing will have an effect on my immune system which sadly, has been destabilized following an episode of drug-induced lupus. Corrine and Peter, I will definitely keep in touch and update you of any interesting result. Meanwhile, please know that I’m enjoying the sleep and earthing. I am very pleased with my purchase It arrived promptly and I am feeling healthier already. I am less achy, have more energy, sleeping well, and after 3 weeks my blood pressure is now at normal levels. I have only been sleeping on the Universal Sheet for a month, but look forward to getting into bed each night as I have been sleeping much better since using it. In general I feel so much better, more alive and feeling more energetic. The report from my grandaughter too is that she too is sleeping so much better and I look forward to hearing how she feels in another few months. My son and daughter-in-law also report the same, and apart from the sleeping, my son ‘did’ his back with too much gardening and could hardly get himself back to the house. Sleeping on the sheet that night he awoke in the morning with very little pain and was tempted to cancel his Chiropractic appointment. (he didn’t though). I have been recommending it to a number of other friends too. Thank you for your prompt service, delivery, and products. I am delighted. For reasons of chronic inflammation, and nervous system dysregulatuon, and being unable to get the Park, as often, as I would prefer, this exactly, fills that need, beautifully! Within minutes, there was a discernible difference. Looking down, I saw my cat, on ‘the mat’ looking much more relaxed, as well! The instructions and monitor are clear. Already, it has been a comforting experience. I now look forward to claiming my birthright, with greater confidence. The timing is not mine, although it obviously is getting closer. Thank you once more…? 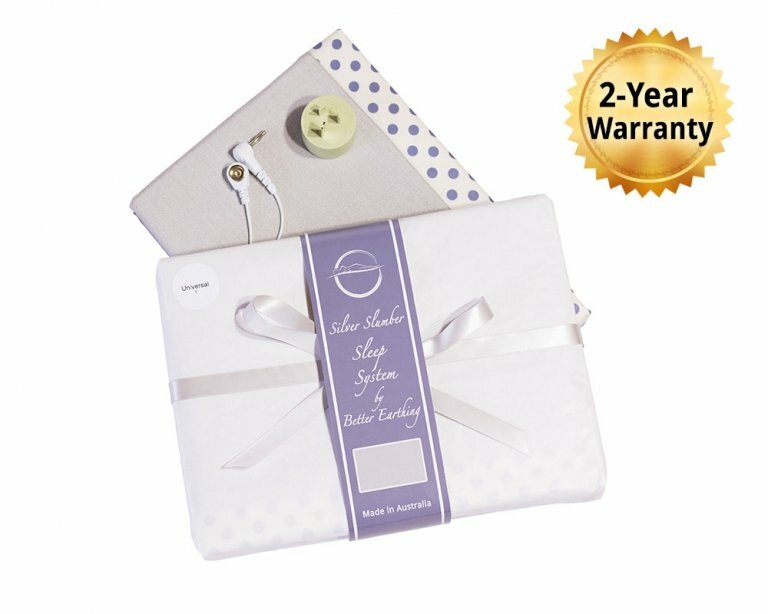 These sheets are great, they completely changed sleep into a healing ritual for me. When I lie down on the antimicrobial silver I am earthed and completely shut off from the outside world. Definitely worth the investment as it is not only an investment in your bed, which people do not put enough into, but also your wellbeing which is priceless. My husband has been using the Better Earthing Universal Undersheet for about six weeks now. He has been sleeping very soundly and if he gets up during the night, he falls asleep quickly again. He used to wake in the morning feeling very seedy, even after at least eight hours sleep, but now, he is more alert, has more energy and doesn’t rub his eyes and stretch all day complaining he is tired. He also has more endurance when bush walking up steep, long hills. He is very happy with his grounding products. I am extremely happy with your earthing sheet AND pillow case. The product is absolutely beautiful. Wrapped in tissue paper with ribbon (no plastic!!). Very impressive. Delivery very quick. Nice set of instructions came with it. And even a surprise band kit. I am not new to earthing. I was using an earthing sheet for a couple of years, until I realised: Is it still working? It was not. Luckily I saw your website with the much improved version of the earthing sheet. I cannot really say what results I have, as I have the flu at the moment. Maybe it helped to reduce the severity. It’s hard to judge. 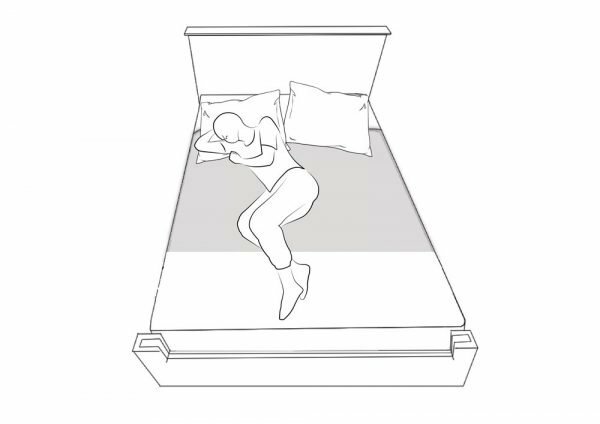 The longer I sleep on my earthing sheet, the more I am convinced of its benefits. I am sleeping more soundly, wake with more energy and have an improved sense of general wellbeing. I also have much less pain from arthritis, and no longer need a pillow beneath my knees to reduce discomfort, which was previously the way I slept for years. I have been sleeping on Better Earthing Universal Undersheet for the past week and I must say I am very impressed by the quality of this product. 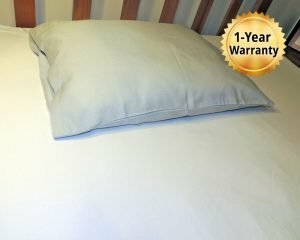 I have spent close to $1000 on the original earthing sheets when they first come out years ago but was disappointed by the product failing due to poor conductivity and the sheets were very thin and wore in the middle of where I slept. I have always like the idea of the Product but unfortunately it failed in practical use. 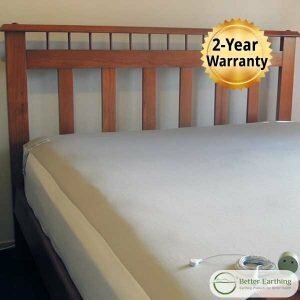 I recently moved house and since moving into a upstairs bedroom have noticed my quality of sleep decline this I contribute to electrical lines running through the floor for downstairs lighting, I decided to look back into Earthing via Bed sheets and found this Company Better Earthing. 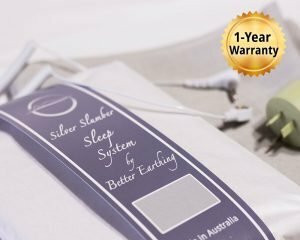 Better Earthing Universal Undersheet has given me a very deep sleep the past week and a calf injury I have had for two weeks I noticed on the fourth night was completely gone. 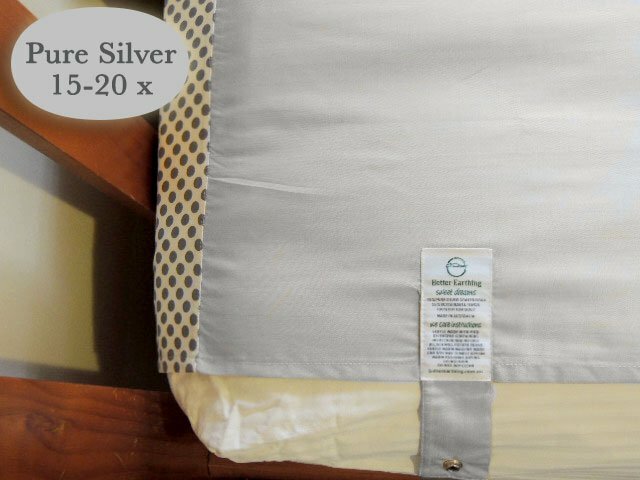 I am really impressed with how much silver is threaded into their sheets notably more than the other earthing sheets I used from a previous company. I have rang and spoke to Peter from Better Earthing and who was happy to answer my questions. 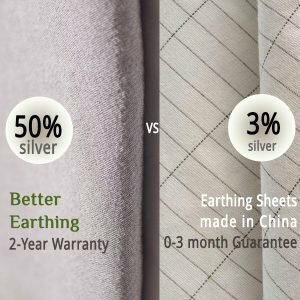 The fact that this sheet from Better Earthing can be placed under your fitted bed sheet and still be conductive with clothes on whilst laying on it speaks volumes about the quality of Better Earthing products. I look forward to more great nights of sleep with this excellent Earthing sheet! I’m a huge fan of earthing and had used the original earthing sheets for just over a year until they lost conductivity. I noticed something was wrong as I started waking up regularly in the middle of the night for no reason, and when I tested them, sure enough, they were only conductive around the edges so I wasn’t sleeping grounded anymore. I decided to get a Better Earthing sheet after watching a video showing what happens to the voltage when the body is grounded with this sheet. I was very impressed since the original sheets I had used were never this effective at bringing the voltage down even when they were brand new. Must be all that extra silver. Within a few days of starting sleeping grounded again I realised I wasn’t waking up in the middle of the night anymore. The other thing I love about this sheet is that being an undersheet it’s somewhat protected from body oils and perspiration and it’s not necessary to wash it as often as the original ones. I’m sure this will preserve its life. Product is exactly as described. Great size for a queen size mattress. Comes with useful information for easy care. I feel the circulation in my hands and feet has improved since using. I bought the same for my mum and her sleep has improved. Wow yes I am indeed going well with my better Earthing sheet , I have been using it a couple of weeks now and finding i am sleeping deeper and having a more restful sleep, I am impressed enough to have told a bunch of people including my sister who is a shocking sleeper and even she is loving it and feeling the difference. I am doing quite well with my new earthing sheet. As I have been earthing for two years, there was no dramatic effects, but with the new sheet I find I am sleeping better and have less restless legs. I am very happy with my earthing sheet that was gift wrapped beautifully. I gave the earthing sheet to a family member who was involved in a serious car accident. Last comments I heard was that the sheet is actually helping and that he has more energy, is sleeping better and much more happier in general. She does believe that the earthing sheet is definitely helping with the road to recovery. I was so so happy to hear that as we pray for our family friend to get back to good health soon. He is now in rehab still after over 18 months cannot walk yet or use his voice. He is making major progress and we hope this year he finds the strength to get back to good health. I had been having sleeping problems for a couple of years, and most recently very bad insomnia. I was desperate to find a solution to this as I was mentally and physically exhausted. 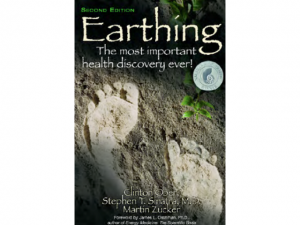 I came across earthing, and the Better Earthing website and bought one of the grounding sheets. After the second night I noticed a difference. I was sleeping for longer periods at a time, and when I woke up during the night (I have young children) I was falling asleep again almost straight away. It’s amazing, I no longer have a sleep problem and love going to be each night as I feel so comfortable and no longer have the stress that I will have another sleepless night. Thank you Better Earthing. I have set up the earthing sheet, and have now slept on it for the last 3 nights. I have noticed that my sleep is getting deeper and better with each consecutive night. I am happy with it….no problems at all. Since grounding myself nightly, I have been sleeping like a baby .It’s hard to believe the grounding sheet could make such a huge difference. I haven’t slept this soundly for at least 25 years. I wake up feeling refreshed and ready to conquer the world. My thoughts are “If you get a good sleep anything is possible” which in my case it is. My husband has not noticed any change at the moment although I am sure it’s just a matter of time. But I have noticed he is not having is daytime naps since we starting grounding at night. I received my earthing sheet and pillow – THANK YOU! I tried them for the first time last night and was amazed at how it really relaxes you. I slept well too. The first morning I woke up after sleeping on one (it was under a regular sheet) I immediately noticed that I had absolutely NO body stiffness whatsoever!!!! I exercise pretty intensely and always wake up with stiffness somewhere in my body. It was so so nice to wake up and be able to move any way I wanted to. I also noticed that I slept through the entire night without waking up! And, I slept more deeply than I have in a long long time. After a week of sleeping Earthed I slept on a non-earthed bed and woke up feeling like I hadn’t slept at all. I’m also recalling my dreams more often. And they are pretty vivid! I also bought an Earthing sheet for my parents. And my father now sleeps right through the night. He no longer wakes up prematurely. I am so in Love with Earthing. It has treated immobilising back pain and knee pain. I’m using one of the sheets and loving it. The quality, packaging and presentation are excellent and really shows your heart is in with product and support. It’s very much appreciated. My sleep has improved enormously. Im now getting deep and solid sleep for 8 hours. I can’t remember the last time that happened. Perhaps once a year! I purchased the earthing half sheet and I am amazed at how effective it is. Without going into too much detail I have had insomnia for over 10 years and the last 2 it has been constant and debilitating. 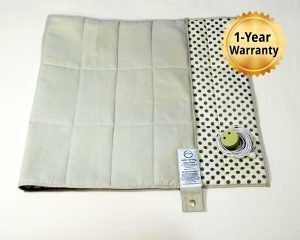 I have tried almost everything, seen countless doctors, been to neurologists and lots of different natural therapists, tried countless OTC and prescription sleep medication but nothing has ever worked for me until I slept on your earthing sheet. The 1st night I used it I didn’t get any sleep but the 2nd night I got 4 hours in a row, the 3rd 5 hrs and the 4th 6hrs, I have not had that much sleep in a row in over 2 years! It now been over a week and I’m sleeping every night. I cannot thank you enough, this product has really been like a miracle to me and has worked when nothing else would. Your customer service was exceptional, I received my item very quickly. So thank you again, I cannot say enough how much this product has helped me.